All area youth in 6th, 7th and 8th grades are encouraged to join the social and service activities planned for the Middle School Youth Group. St. Barnabas Lutheran Church coordinates one or two activities each month for the students to socialize and have fun. Often the events include volunteer service in the community. This year’s program began with an overnight “Soaked” event coordinated with other area churches. 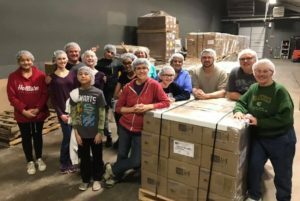 The group also enjoyed a trip to Richardson’s Adventure Farm, a Movie Night/Bake Sale fundraiser, an outing to Urban Air Adventure Park, and a food packing session at Feed My Starving Children. In April, the group is planning a full night of activities with an event called, “RAISED Fed with God’s Promises”. 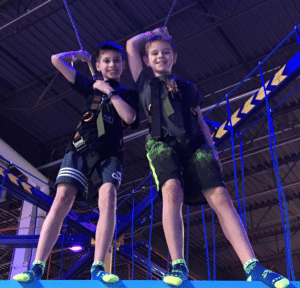 Together with other congregations, the middle school students will enjoy an indoor trampoline park, service opportunities, worship, games, food and more. All area youth are welcome to join. For more information, please contact Denise Ulaszek at youth@stbarnabas-cary.org or (847)639- 3959.